With Saul Alvarez now campaigning at middleweight, there’s no true champion at 154 pounds. But with an exciting triple-header on tap this weekend, the picture should get clearer. 1. 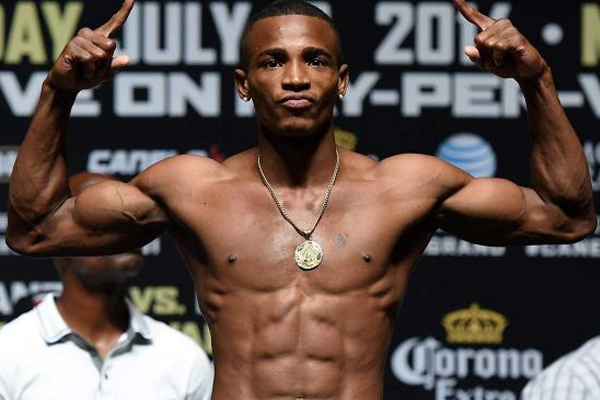 Erislandy Lara: 24-2-2, 14 KOs; WBA belt On my scorecards, Lara is still undefeated. 2. Demetrius Andrade: 24-0, 16 KOs Like Lara, Andrade is one of the best fighters in the world nobody seems to talk about. He’s a long southpaw and technically very solid, with decent power. 3. Jermell Charlo: 29-0, 14 KOs; WBC belt Charlo does not have the power that his twin brother Jermall does. But he has shown the ability to pull out a KO when he really needs one. 4. Miguel Cotto: 41-5, 33 KOs; WBO belts Cotto ain’t what he once was. And I am not sure he is truly one of the five best fighters in the world at 154 pounds. But his resume still deserves the recognition, until somebody proves otherwise. 5. Austin Trout: 30-3, 17 KOs I think a lot of people are failing to give Trout the respect he deserves. That said, I do not think he will get past Jarret Hurd this weekend. 6. Jarret Hurd: 20-0, 14 KOs; IBF belt Hurd is a physical beast. He gets the chance to add a major name to his resume this weekend against Trout. 7. Erickson Lubin: 18-0, 13 KOs At 22, he is the most promising young phenom in the sport. He might end up being a bigger star than anybody else in this ranking. 8. Maciej Sulecki: 25-0, 10 KOs Sulecki has defeated some experienced stepping stones. Earned his place in the rankings by stopping previously undefeated Hugo Centeno. 9. Jack Culcay: 22-2, 11 KOs The Brit fought tough against Andrade last March. 10. Brian Carlos Castano: 14-0, 10 KOs The Argentine traveled to France last July and earned a split-decision over home-town star Michel Soro.